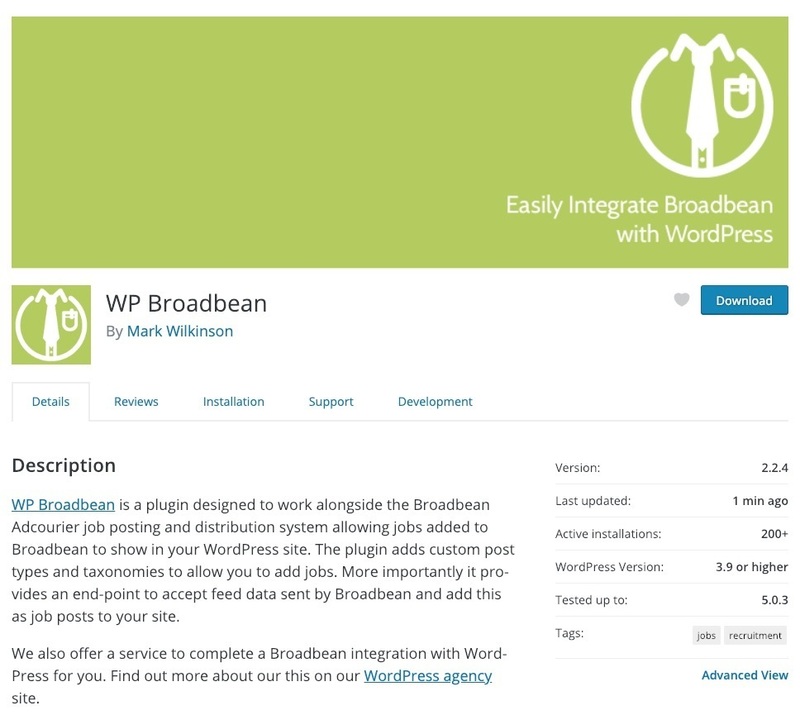 The WP Broadbean plugin has now been around for nearly 4 years. In fact, it was born on the 19th August 2014 (at 19:36 to be precise!). It has served many users well – there are over 200 active installs of the plugin, according to the WordPress.org plugin page for the plugin. We felt that the plugin has reached the end of its working life in the current format after all its core code was developed 4 years ago and therefore it was time for a refresh. When we first set out developing the new version of the plugin we did so with the intention that we wanted to make the plugin backwards compatible. This would mean the impact for existing users would have been minimal. However, having started development it became clear that we could make the improvements we wanted to without breaking the backwards compatibility. This was disappointing but necessary to move the plugin forward. Should I update the plugin from version 2 branch? If you are currently running a version of the plugin before version 3.0, then we would recommend not upgrading straight away. Updating from version 2.2.4 or below to version 3.0 will break your current integration, and therefore you should not do this without testing first. We recommend that you update on a test version of your site and then note what needs updating (see below), before making those fixes, perhaps with the help of a developer (we can help too! please get in touch) and then rolling the plugin out to your live site. Applications are no longer ever stored permanently on your WordPress site. Once they are processed and the application forwarded on to Broadbean they are all removed. This reduces the personal data stored, making things more secure. The application form is now completely extensible. This allows developers to add and remove their own fields more easily should clients want to collect different data than the default form. Improvement to the job fields being used – many of the original fields included where not really used by clients we worked with. Therefore these have been slimmed down but remain extensible to developers. They have also been rendered in a better approach, moving away from a legacy none supported third-party framework called Custom Meta Boxes. Added views to the plugin which are essentially templates allowing developers to override certain views, for example, the application form. Improved the endpoint URL to an actual URL rather than the site’s homepage with a query string attached. What are the key breaking changes? As previously mentioned, this version is not backwards compatible with older versions. Therefore if you have had custom developments on your site, completed by another developer, it is likely further work will be needed to port those changes across to the new version. You can, of course, opt to stay on the older version 2 of the plugin. The list is too long to highlight here in full about what has changed, but you will be able to review all of the different on the version controlled repository on GitHub for the plugin, once version 3 is released shortly. What is the best way to prevent my site updating to the latest version of the plugin? If you have auto-updates turned on for plugins, you will want to prevent your site from updating to version 3 of the plugin until you have had a chance to test the site, and inform Broadbean of any changes needed to your sites feed. Change the version number of your current WP Broadbean plugin to something very high. For example, if you change it to 999, this means when WordPress checks for current plugin version with the existing release, your version will never be less than the current release and an update won’t happen. You can do this in both the plugins readme.txt file and the wpbroadbean.php file in the root of the plugin folder. Use our HD Update Notifications plugin to suppress the updates notifications for a particular plugin. Information can be found over on the Github page linked. If you do accidentally update to version 3.0 and need to rollback, you can download older versions of the plugin from the advanced tab of the plugin page on WordPress.org. We also wrote a blog post on updating from older versions of WP Broadbean version 3.0. Shortcodes – a suite of shortcodes to help with job output. 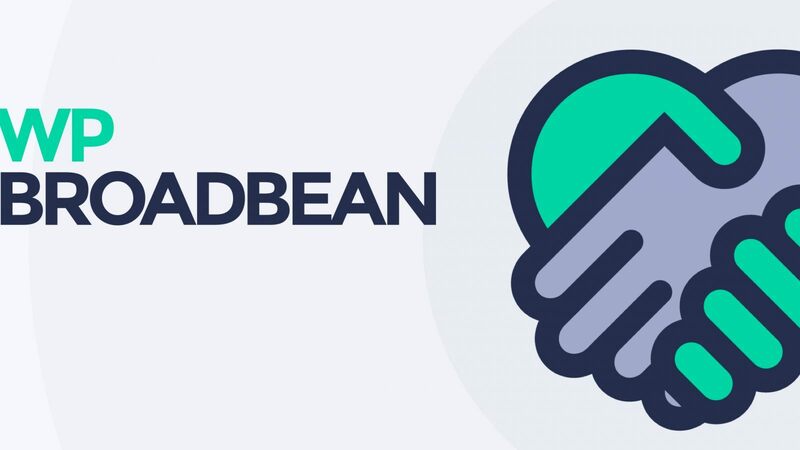 Thanks so much to those who have used the plugin and don’t forget to get in touch if you have any custom requirements for integrating Broadbean with WordPress.